4 years ago I was pregnant. I was expecting a bouncing baby boy, and the weeks were flying by as I busied myself with everything I had to buy for the arrival of my teeny tiny newborn. Time was a blur, but I told myself that once he was here, I would have chance to catch my breath and the whirlwind in which I was circling around in would relent and time would stand still. Of course Leo arrived and time did everything but slow down. Week by week he grew, he started to smile, laugh and become his own little person. He captured my heart and became my very reason for living. 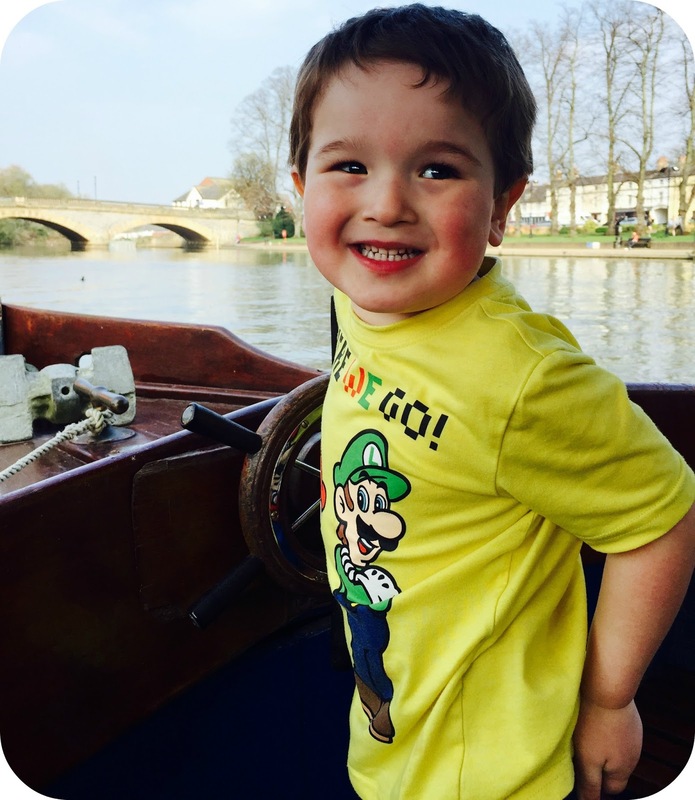 I dedicated all that I am to my mischievous and beautiful boy, and as the weeks turned into months, and the months turned into years, the time never did relent. Leo started nursery and slowly but surely settled in, we encountered hurdles along the way but together we over came everything that tried to stop us in our tracks. We spent days together enjoying all that we were, he had become my right arm and my very best friend. The months continued to fly by and before I knew it I had a 3 year old on my hands. An actual 3 year old who was now more a pre-schooler than a toddler, and those baby days and night feeds were now just a distant memory. Suddenly the time had come to start thinking about SCHOOLS! Yes schools! Somehow that little boy I had cradled in my arms, lay on my chest and burped on my lap was at the age I needed to relinquish him to outside teaching and experiences that I couldn't always be a part of. 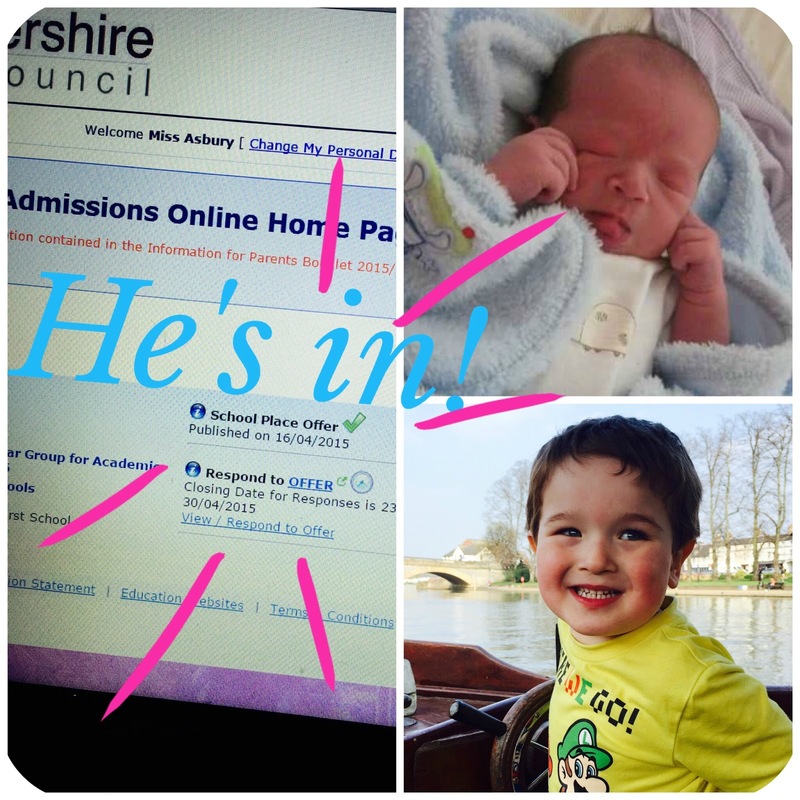 I knew exactly where I wanted Leo to go, and as the nursery he attends is based in the school grounds, I was determined that he would be attending. It's a beautiful village school and having been there myself back in the day, and having some of the very same teachers still teaching there that taught me, I knew many years ago where I wanted him to take those very first steps into education. Of course when these applications went in, September 2015 still seemed to be so far away, a sun blazing on the very tip of the horizon, and not an imminent sunrise about to fire into the sky. But here we are in April, 4 and a bit months away to when my newly 4 year old will be starting his very first day in Reception at First School. Last night at midnight I sat there refreshing the applications page, impatiently waiting to see if Leo had been offered a place at our school of choice. Midnight arrived and suddenly there was confirmation that Leo had indeed been granted a place at school for this coming September. It was all really happening. I have such mixed feelings about Leo starting school, part of my thinks that it is going to do him the world of good, and the other half thinks that he is still so young and that he really will be one of the youngest in his year. Being a June baby he is at the younger end of the year, and even now there is a big difference between his over all appearance to some of the older children that are nearing the age of 5. Then I shake myself and realise that he is going to be absolutely fine, he's resilient and strong. Nothing is going to stop him or hold him back. I won't let it. Once Leo has started school, he is going to grow up so quickly. He will learn new words, new meanings, life lessons. He will have outside influences that were never there before, he will grow up ten fold in a few short weeks. He will learn amazing things and some not so amazing things, and the next four years are going to be completely different to our first. It will never be the same... ever again. 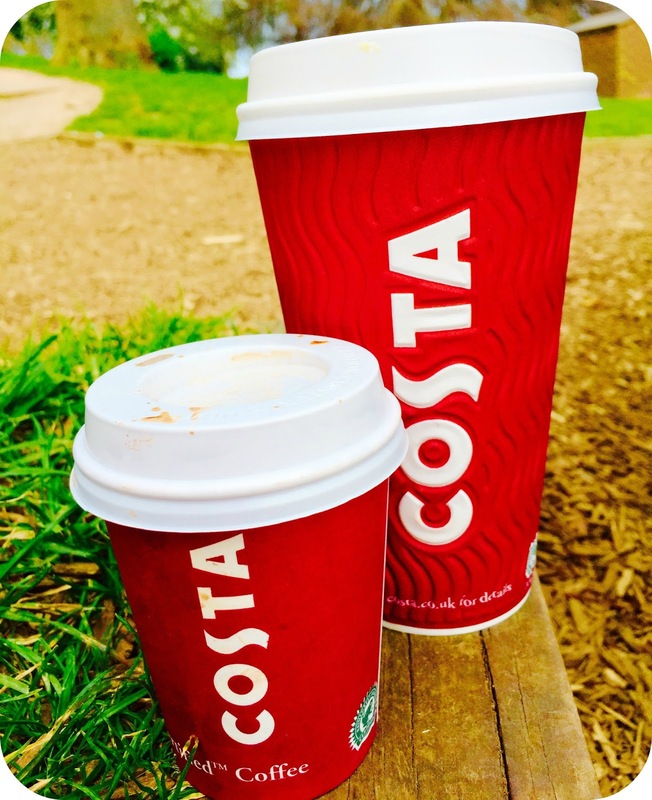 No longer will we have our exclusive Mummy and Leo time, days spent in the park and strolling around the town just the two of us, sipping Costa's by the river. He will be at school. These last 4 years have just completely flown. They have been the most amazing, exhilarating and emotional years of my life. Leo has learnt and grown so much, and I really do have to accept that my baby boy has grown up into a beautiful and kind little boy, and he is going to achieve so many amazing things over the coming years. 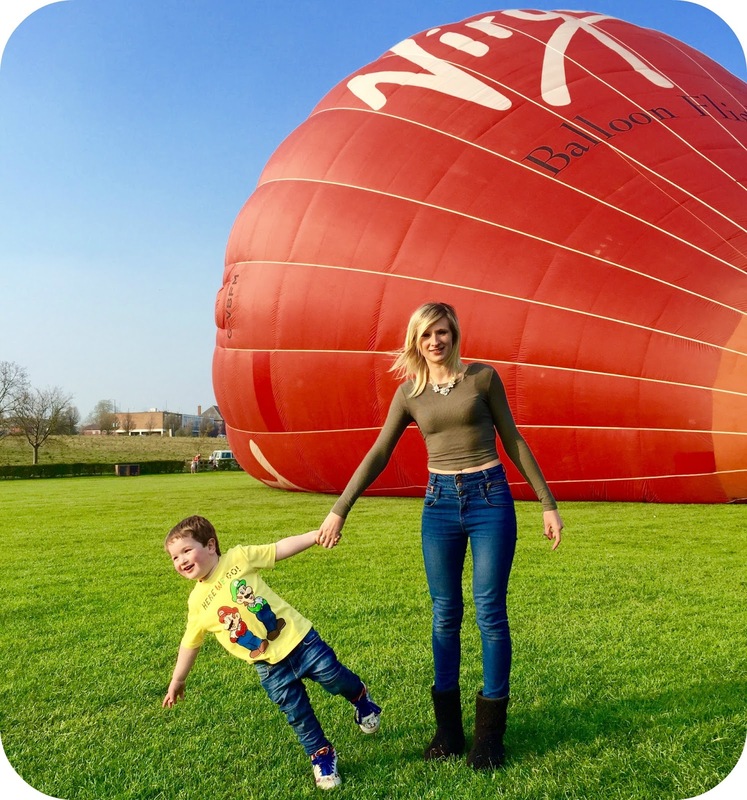 It has been a learning curve for both Leo and I, because just as much as he has been learning about the ways of the world, I have had to learn about him, and being a Mum! I have made mistakes and I am by no means perfect, but when I look at Leo and his smiling Blue eyes, I know I got something right. I got him right. In September I will be placing my trust in the hands of his teacher, I will be watching him take a step back from me and a step towards her. I myself will be taking a reluctant step back as he grows up a little bit more right in front of my eyes, and accepting that time will never slow down. It will only hurtle on, and our worlds are going to change forever. I'm in exactly the same boat. I think my four year old is really ready for the challenges of school and I'm sure he will love it....although I know I will be a blubbering wreck waving goodbye to him on that first morning....just like I was with my seven year old on her first day. It's always a time filled with emotions when they start school - excitement for them to learn and develop, sadness to see them go, nervousness as to how they'll get on and pride as to how adaptable they are. What I did with Ozzy when he started was to make a list with him at the start of July of all the things we'd need to buy for school - lunch bag, waterbottle, school shoes and so on and then each week we would go into 'the big shops' together and buy one item together. This made the build up exciting for him and was a gentle weekly reminder that school is coming - it also helped me remember everything I needed to buy!!! Glad you got your place. It's a very emotional time when they start school, I really don't know where the time goes to. Glad he got his place and hope it goes well. Don't worry about his birth time - my lad is end of July and flying above his peers. Glad all went well and that he got his place. I completely relate to this post! My son is nine and I have no idea where the time has gone! All the other parents will be feeling exactly the same as you and the teachers will be falling over themselves to make sure he has a great time, I'm sure! I didn't want my daughter to start sch and now she is reading non stop. It's crazy! My daughter has a summer birthday too and I remember worrying about her being so young when she started school. But she was absolutely fine and I'm sure that your son will be too. The best thing that we can do for our kids is to give them a solid start so that they are resilient and grounded and can cope with stuff that happens - like other kids being mean or not understanding things at school. It sounds like you've done that brilliantly for your son. Oh I am in the same place! My baby isn't 4 until the middle of August and seems way too small for school in September! But my eldest is a mid-August birthday too and she got on just fine so I am sure our littluns will too! Aw time goes so fast doesn't it? My son is a september baby so I have that extra year but even now I am thinking about the application process and how I must get thinking about it. I hope it all goes really well for him! I am in exactly the same boat! June baby, apprehension, change. I believe I am more anxious than he is at this stage.